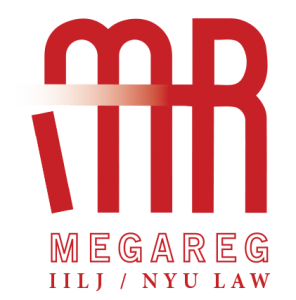 MegaReg is a research project about the regulatory and justice dimensions of economic globalization, and ways of addressing these through innovative international legal ordering. It examines the terms and problems of large-scale economic agreements (such as TPP, TTIP, RCEP, TiSA, CFTA, and the NAFTA renegotiations), the rapid expansion of (and pushback against) private and hybrid regulatory governance, infrastructure-based ordering (such as China’s Belt and Road Initiative, BRI) and the digital revolution. We focus on positive and negative externalities, patterns of inclusion and exclusion of specific types of actors, the distributional consequences of global regulation, and potential changes to institutional design. We gratefully acknowledge the support of the NYU Global Institute for Advanced Study. See a list of past events here.